Payment collection is a crucial job as your revenue depends on it! Gone are the days when people used to make invoices and collect payments in cash or via cheques. Now the scenario is, you can simply embed a payment collection forms on your website and collect payments. All you gotta do is simply integrate your forms with any of the payment gateways. Amongst these payment gateways, the most reputed ones are Stripe & PayPal. Moreover, you can easily build Payment Collection Forms using SaaS-based form creator software which are effective and economic at the same time. The payment collection forms provide you a safe & secure environment to collect payments without hassling around and losing the details about the payments as well. So, for preventing you from going on the hunt for cheap payment collection forms, we have bundled up few of the finest ones for you. Now, without frittering away any more time, let’s dive in and find out the best from the list of payment collection forms for yourself. 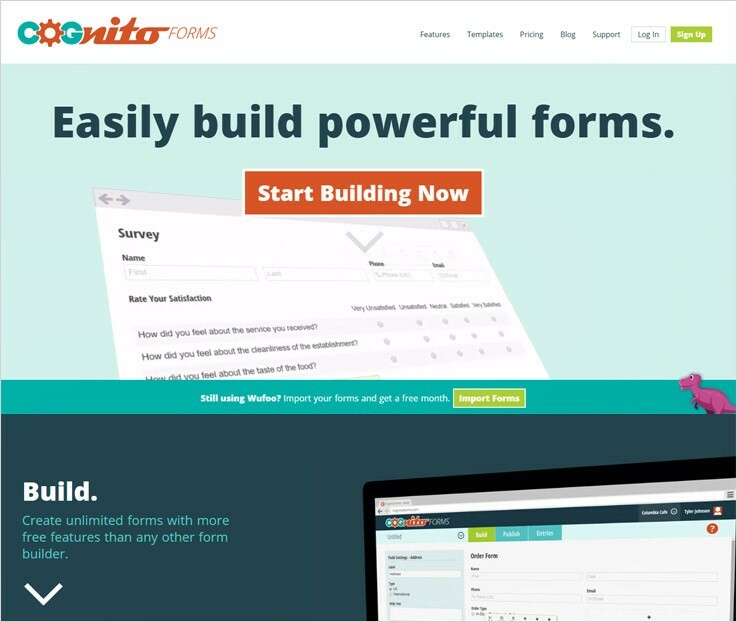 Create unlimited forms from any niche and embed it on your website without any trouble. FormGet is veritably the best software for creating SaaS-based payment collection forms. 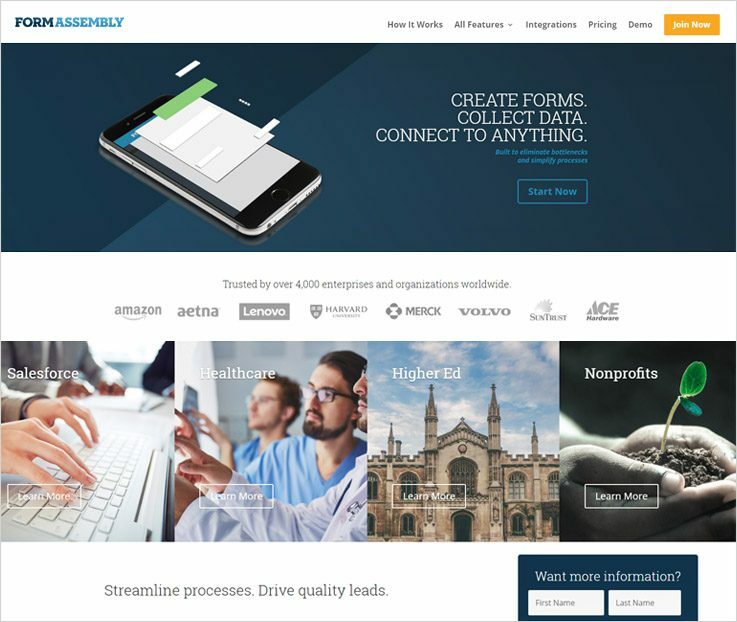 It provides you with the efficient features like more than 260 pre-built templates to choose from, custom branding, file uploads & much more. The forms created can be customized as & how you want it to be. Plus, you can collect the payment via payment gateways like PayPal & Stripe. Further, you can collect recurring as well as one-time payment from the customers. 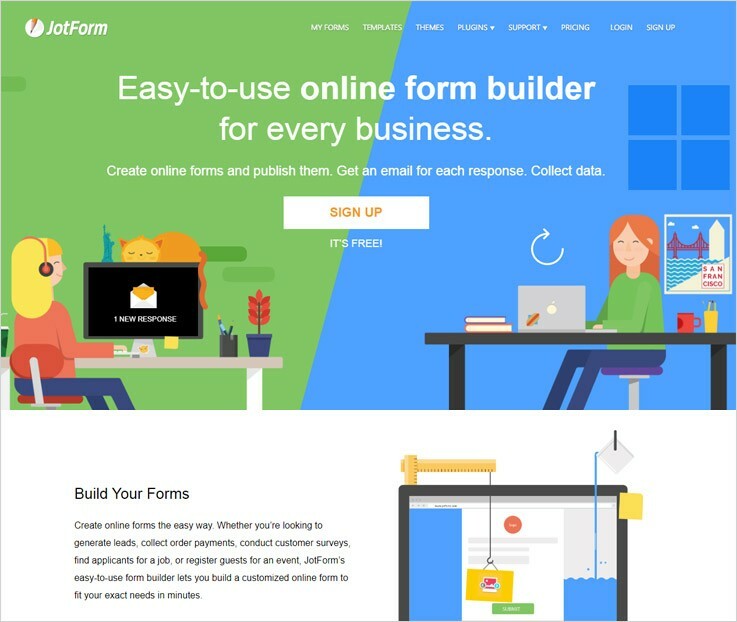 Amongst the form builders in the list, FormGet is tried and tested software. It gives high-quality solutions to generate forms which are cost-effective at the same time. 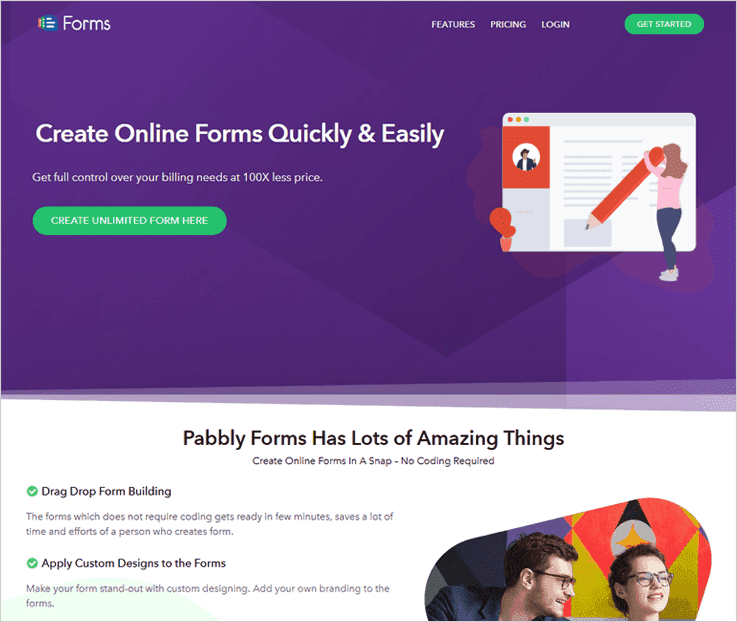 If you are seeking a perfect form creator software then it is highly recommended. Plan 1:– In this plan, the user will not be charged anything as it is a free plan, you can create a form, get unlimited leads and users as well. Plan 2:– In this plan, the user will be charged $5/month and will get access to 5 user accounts, can create 25 forms and get unlimited Google Analytics integration. It also includes other features such as email notification and conditional logic. Plan 3:– The user will get everything in the plan 2 but will have an accessibility of all the extensions for 5 forms for which he will be charged $ $35 for each month. Plan 4:– Similarly, The user will get everything in the plan 3 but will have an accessibility of all the extensions for unlimited forms for which he will be charged $99 month. This software let you add a redirect link to the submit button. As the user clicks on the submit button it will land him on the desired webpage. You can prevent your data from being hacked as it provides SSL encryption. It swiftly establishes a link between the web server & a browser. Hence, it ensures that data remains private & integral. It allows you to give form access to specified members of the team and let them manage their own forms. Pabbly Forms is an astounding software which let you create payment collection forms without any hassle. It facilitates you with various features like custom branding, pre-designed templates. So, you can effortlessly create one for yourself. Moreso, you can easily collect payments via gateways like Stripe & Paypal. Also, you can prevent bots from submitting your forms by enabling the ReCAPTCHA feature. Hence, saving time, efforts as well as forms. It provides you with a free form that you can create using all the features & facilities. Further, you can also embed the created form in the website or in the widgetized area of the website. Now, the first plan will cost you $5 per month which provides you with a single user access, 1200 monthly submission of forms, Google Analytics as well as Stripe & PayPal integration. For second plan you have to pay $35 every month and get access to 5 payment accounts, embed forms up to 35 domains, 100k form views/month along with Stripe & PayPal integration. The third plan grants access to 10 users, allows PayPal & Stripe integration, 60k submissions/month & a lot of other features at $79 monthly cost. This is the last plan which enables you to create unlimited forms, upload files up to 10 GB, embed forms to unlimited domains & integration with multiple DropBox account along with Paypal & Stripe just by paying $99 for a month. It enables you to send responses on submission of forms like ‘ Thanks for submitting the form! ‘ via autoresponder. You can give access to a specific amount of forms to your clients or team members & allow them to manage their own forms. This software empowers you to connect with email marketing application. So, you can easily collect leads which subscribe to your email marketing solution through the subscription forms. 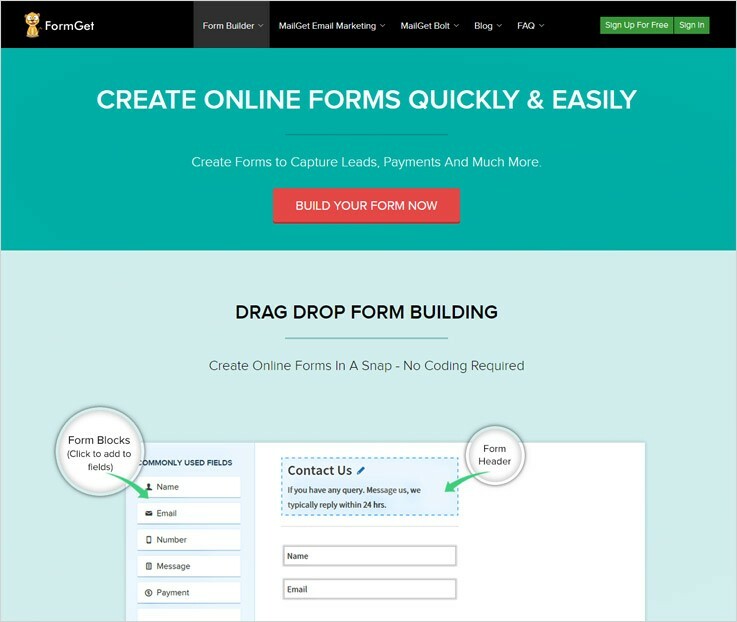 FormAssembly is an awesome form builder that allows you to create payment collection forms. Apart from this, it also includes some smart features like conditional logic, calculated fields, Save & Resume and other such features. Professional:- In the professional plan, per user will be charged $89 which will be billed annually and for the same service will be charged $99 per month when the user pays the bill monthly. Premier:- On the same track for the premier plan, a single user will be charged $224 per month when paid annually and will be charged $249 per month when he pays the bill monthly. Enterprise Cloud:- In the enterprise plan, three users can start using the service at $599 which will be billed annually. Compliance Cloud:- For the cloud compliance plan, you need to get in touch with the sales team of the service provider. This software contains a drag and drop builder through which the user can simply drag the desired field in the content section. It is also fully responsive in nature which means it resizes automatically on any device or mobile. You can empower your customers to make payment from both the giant payment gateways termed as the PayPal and Stripe. CognitoForms provides one of the best ways to create forms. It enables you to process credit cards through secure integrations. Moreover, you can create a form that accepts payments or online donations as well. Individual:- The individual plan of the software is a free plan, the buyer will get unlimited forms, up to 500 entries per month, 1% charge of the payment gateway used by the user and storage till 100 MB. Pro:- To avail the pro plan, the user is required to pay $10 per month for which he has unlimited forms 2,000 entries per month 1% charge of the payment gateway used and storage till 1 GB for 2 users. Team:- For acquiring the team plan, the monthly charges are $24 per month and valid for 5 users, providing unlimited forms, 10,000 entries per month and no transaction fee, and storage space up to 10 GB. Enterprise:- Similarly, in the enterprise plan, the charges monthly would be $99 per month and valid for 50 users, providing unlimited forms & entries per month, no transaction fee, and store window up to 10 GB. You can construct order forms, event registrations and more just in a jiffy. Further, this system also supports various dynamic features like conditional logic and calculations. This software supports multiple integrations like Stripe, PayPal, and Square. Thereby, the customers get a number of options to make payments through the forms created by you. Among the various features, there are email notifications & file upload functionality that gives you an intimation as soon as a customer submits the form. Formsite provides a platform to create attractive forms that support payment integrations such as Authorize.net, PayPal, Stripe and many more. You can effortlessly create forms of your own choice and add them to your website. Free:- As the name suggests that its a free plan, so you won’t be charged anything to 5 forms and will get 10 results per form, also 50MB file space. Deluxe:- To get the deluxe plan, the user will be charged $14.95 per month in which he will get 5 forms and will get 500 results per form, also 500MB file space. Pro 1:- For availing the pro 1 plan, the user will be charged $24.95 per month in which he will get 10 forms and will get 1000 results per form, also 1 GB file space and ads free. Pro 2:- This pro 2 plan, the user will be charged $49.95 per month in which he will get 25 forms and will get 2,500 results per form, also, 2 GB file space, no ads, 5 sub-users, unlimited PDFs and unlimited workflows. The user can use form fields to calculate values and score. Plus, this software also allows you to embed any form in any page. You can collect the data through secure forms. Also, it facilitates file uploads and links forms with the workflow logic of the system. The system lets you import or export data for external processing, plus, share custom reports within a click. 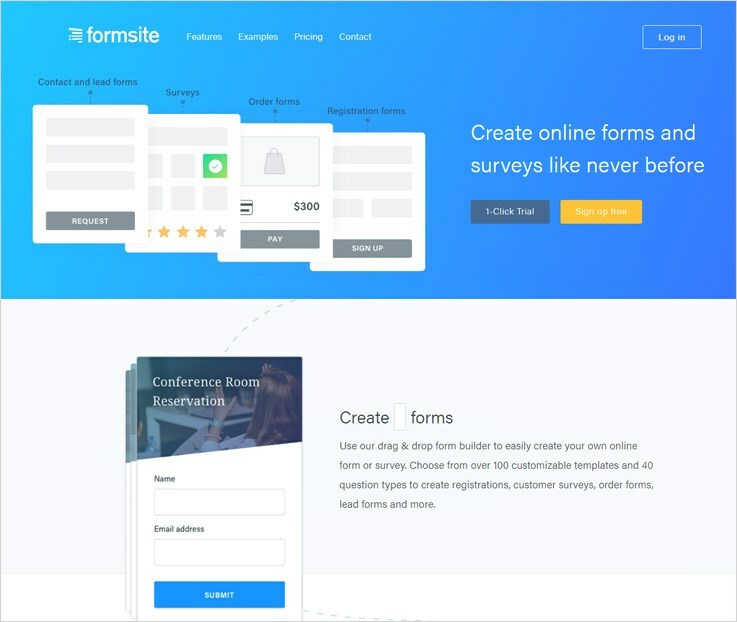 JotForm is a user-friendly form builder enabling you to create your own forms. Further, through these forms, you can generate leads, collect order payments or register people for an event. All this stuff from a single software. Starter:- The starter plan is a free plan which gives 100 monthly subscriptions and 100 MB of available space. Bronze:- For availing this plan, the user will be charged $19 per month for 1000 monthly submissions and 10 GB available space. Siver:- You have to pay $39 per month for 10,000 monthly submissions and 100 GB available space. Gold:- This plan will cost the user $99 per month for 100,000 monthly submissions and 1TB available space. It does not ask for any free sign-ups from the user. Also, you can receive responses by adding the email id in the end. This software allows you to create templates and the forms through a smooth drag and drop mechanism. You can customize the forms effortlessly with UI interface of JotForm. Also, there are also more than 2500 templates and 40 themes. In this blog post, we have listed the best & the cheapest software to create payment collection forms. Furthermore, these payment collection forms will for sure help you in easing the task of collecting payments. You can trigger these forms by simply embedding the forms on your website. We hope, by now, you must have found the perfect software for collecting payments online. On this positive note, we take your leave. Drop in your views in the comments section. Also, feel free to contact us for any more queries and suggestions. We’ll get back to you as early as possible.